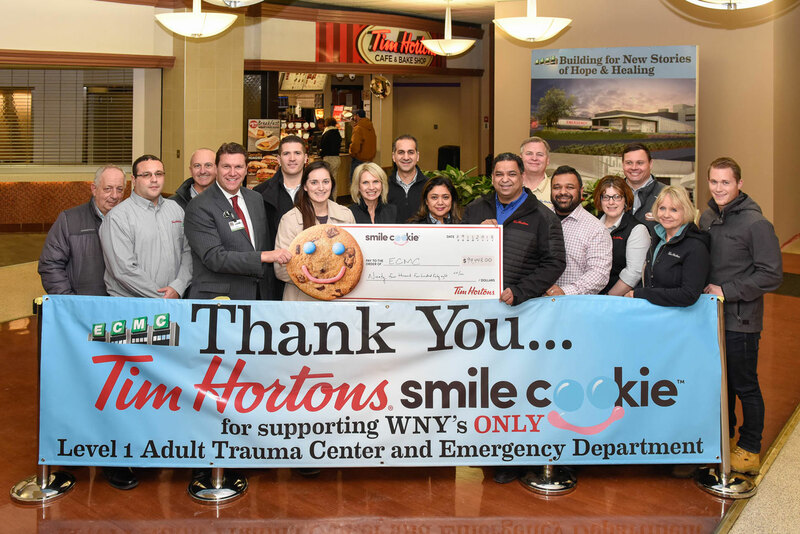 Buffalo, November 29, 2018 – There were plenty of smiles in Buffalo during this year’s Tim Hortons Smile Cookie campaign. The simple act of buying a chocolate chunk cookie lovingly decorated with blue eyes and a cheerful pink smile raised $94,448.00 for Erie County Medical Center as part of a record breaking campaign. This year’s Smile Cookie campaign that ran from September 17-23, supported more than 500 charities in Canada and the US and raised a record breaking $7.8 million in both countries.